Posey Knitted Foam Pad Heel and Elbow Protectors are recommended for low risk patients requiring comfort or at risk for skin irritation. They offer comfortable sock-like protective coverings which help provide comfort and help protect against limb friction and shear forces. Sewn-in contoured soft-open cell foam pad located at the bony prominences of the heel and elbow. - Knitted Heel/Elbow Protectors are intended to fit as a comfort product. Actual fit will depend on individual anthropometric measurements and patient comfort level. These protectors will stretch up to 30%. - Be sure to follow your facility;s policies and guidelines for frequency of patient monitoring. Posey recommends that this product be removed at least every two (2) hours to check for skin integrity, proper circulation and range of motion. - Inspect before each use: check for broken stitches, or torn, cut or frayed material. Do not use soiled or damaged products. 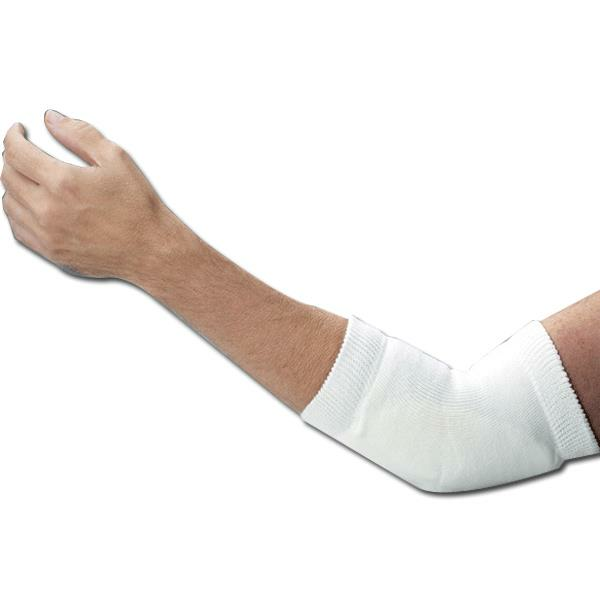 - Make sure the skin area to be covered by the Heel and Elbow Protector is free of any open wounds or pressure ulcers. - Select the appropriate size for the patient;s heel or elbow. - Slip the Heel and Elbow Protector over the foot or arm and position the internal contoured pad over the area to be cushioned. - The Heel and Elbow Protector should fit snugly on the limb. If it appears to be too tight or loose, choose the next most appropriate size to ensure patient comfort. - Inspect skin frequently for tears, lacerations, avulsions, abrasions, infections or other damage and determine appropriate treatment. Change product with new or laundered product in accordance with facility policy. Can the elbow protector be exchanged if it doesn't fit? Please Refer to below link for getting clear idea about our Return policy.